The outcome of the Czech-German Young Professionals Program (CGYPP) is a growing international network of committed and talented people. It offers the chance to make valuable contacts with both participants and visiting experts from Germany and the Czech Republic. 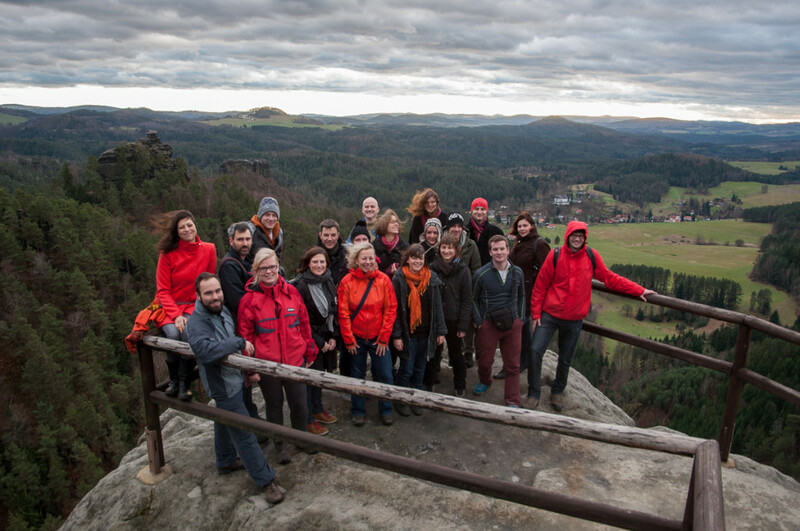 CGYPP Alumni at the annual meeting in 2015 in the Czech-Saxon Switzerland. Group interaction between current and past participants, a lively atmosphere and the high level of commitment all promote the enduring exchange of ideas and experiences. The network is kept alive by annual meetings, other Alumni events as well as via social media.